This is by far one of the most in-demand props in all of magic! The Appearing Bird Cage is a truly astonishing effect. With your bare hand you reach into the air and produce a full size bird cage, complete with live birds! You can also produce the cage from under a foulard or a bunch of silks. No matter how you produce it, the sudden appearance of the cage with live birds will knock their socks off! The workmanship on the Appearing Bird Cage is dazzling. Truly exceptional. It folds down small enough to be easily hidden. It collapses into a cylindrical form, about 2.5" in diameter, yet when produced forms a rigid cage over 14" high and 10.2" wide, complete with base for one of your live birds. This cage is less than one third the cost of similar cages currently on the market. Despite the low price, the quality is nothing short of excellent. This cage is made from stainless steel and aluminium. 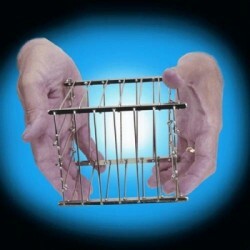 A classic prop that is perfect for any stage magician looking to make a big impact in their magic shows. 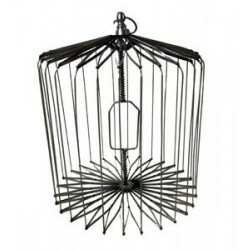 Production Bird Cage - Large For the professional performer looking for an outstanding and exclusiv.. 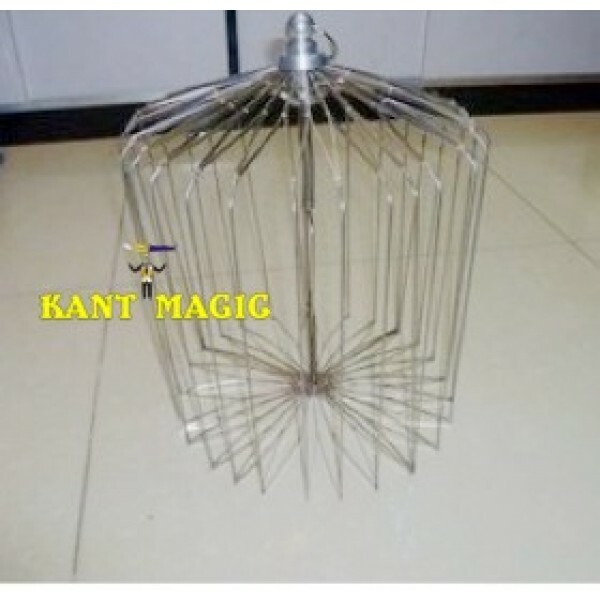 The Magician shows a small bird cage. In the blink of an eye the bird cage vanish into thin air! Thi..
Auto Production Cage – Small 10.5″ x 7″ Stainless Steel AUTO PRODUCTION CAGE – SMAL..